ARIES – Try to get out of your office early and do things that you really enjoy. Control your tendency to live for the day and to spend too much time and money on entertainment. Likely to get some good news which will not only enthrall you but your family also. You need to keep your excitement under control. Don’t worry like ice your sorrow will melt today. If you were trying to talk to someone at work since long, you might get lucky today. A beneficial day as things seem to go in your favor and you will be on top of the world. You must be knowing the health benefits of hug. You will get enough today from your spouse. TAURUS – A sparkling laughter filled day when most things proceed- as you desire. It’s another high-energy day and unexpected gains are foreseen. Your thirst for knowledge will help you make new friends. Your beloved brings you immense romantic pleasure even as work pressure occupies your mind You need to use your contacts to get around seemingly difficult issues. Secret enemies will be eager to spread rumors about you. Today, you might go out with your life-partner and spend a wonderful time together. GEMINI – Don’t allow unwanted thoughts occupy your mind. Try to remain calm and tension free that would enhance your mental toughness. You will be in the mood to travel and spend money- but you will be sorry if you do. Don’t waste the moment indulging in self-pity but try and know life lessons. Romance rules your heart and mind. Those who were obstructing your success way at work, will face a severe downfall today in front of your eyes. Stay away from gossip and rumors. Today, you will have a very close communication about each other’s beautiful feelings for each other. CANCER – Father may disinherit you from the property. But don’t lose heart. Remember prosperity pampers the mind deprivation strengthens it. Avoid any long-term investments and try to go out and spend some pleasant moments with your good friend. Make sure you have approval of everyone before you make changes to your home environment. Your gloomy life may give tension to your spouse. New assignments undertaken would fall short of expectations. Today you will get lot of interesting invitations- and a surprise gift could also be coming your way. You might feel troubled due to your spouse today. LEO – Emotionally it will not be a very good day. Finances will definitely get a boost- but at the same time expenditures too will be on the rise. Pressure at work and home would make you short-tempered and restless today. Keep your love fresh like precious things. Think twice before you take on any new project. Pleasure trip will be satisfying. Your life-partner had never been so wonderful than today. VIRGO – Find the solace in the company of children. The therapeutic powers of children not only those of your own family but even the off-springs of others can give you solace and calm your anxiety. Money position improves as delayed payments are recovered. Do not neglect your social life. Take some time from your busy schedule and go out to attend the party with your family. It will not only relieve your pressure but also remove your hesitation. Thoughts of meeting your friend after a long time may increase your heat beats like a rolling stone. Things seem to be in your favor at work. You will use your hidden qualities to make the best of the day. Your spouse will be full of energy and love today. 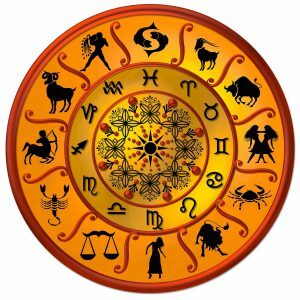 LIBRA – Outings-parties and pleasure jaunts will keep you in good mood today. Sudden unexpected expenses might exert financial pressure. A letter by post brings happy news for the entire family. Help someone to visualize himself succeeding in love. The day looks very smooth in the context of work. Someone from your past is likely to contact you and make it a memorable day. It is the day to experience the brighter side of marriage. SCORPIO – No need to worry about you health today. People around you will lift your morale and spirits. Your unrealistic planning will lead to paucity of funds. Someone you live with will be annoyed if you have been ignoring your household duties. Romance- outings and parties may prove to be exciting but very tiring. If you feel that you can handle important jobs without the assistance of others then you are highly mistaken. If you run from a situation- it will follow you in the worst possible way. Despite of all the troubles in your life, your partner will stand by you in any case. 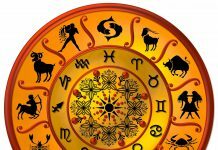 SAGITTARIUS – Stress may result in minor illness. Don’t spend too much on entertainment or cosmetic improvement. Let family tension not divert your attention. Bad times give us much more. Don’t waste the moment indulging in self-pity but try and know life lessons. Exciting day as you receive gifts/presents from your beloved. Don’t promise anything till you are sure you can deliver it. Your communication techniques and working skills will be impressive. Your spouse will do something really special for you today. CAPRICORN – Support of highly influential people will give a big boost to your moral. New contracts might look lucrative but will not bring gains as desired- Do not make hasty decisions when it comes to investing money. Relatives/friends drop by for a wonderful evening. Today you are going to make blind love possible to get. Your hard work will be rewarded as you are likely to get a promotion. Don’t think about the monetary gains because in the long run you will be the beneficiary. Pleasure trip will be satisfying. Your spouse is truly your angel, and you will know this today. AQUARIUS – Avoid oily and spicy diet. Don’t overspend too much in order to impress others. Take the opinion of your family members before finalizing anything. Your unilateral decision could create some problems. Create harmony in family to achieve best results. Don’t disappoint your lover today- as it will leave you repenting later. Some good opportunities are likely to come to you if you keep an open mind. Boundless creativity and enthusiasm leads you to another beneficial day. If you and your spouse had a really good food or drinks today, health might suffer. PISCES – It is right time for you to stop the use of tobacco otherwise it would be extremely difficult for you to get rid of this habit later on and its use not only stunts your body but also clouds the brain. Although your financial position improves but the outflow of money will still create hindrance in executing your projects. Excellent day to plan out things for your progeny. of your beloved. Not a good day to invite your boss and seniors over to your place. Take advantage of your enormous confidence and go out and make some new contacts and friends. You will have a beautiful romantic day, but some health issues might trouble.